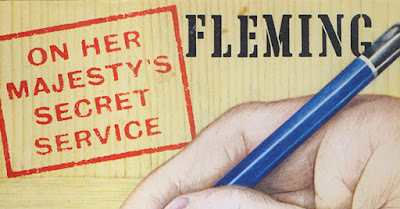 James Bond - The Secret Agent: Added to my collection: A signed dust jacket. Added to my collection: A signed dust jacket. 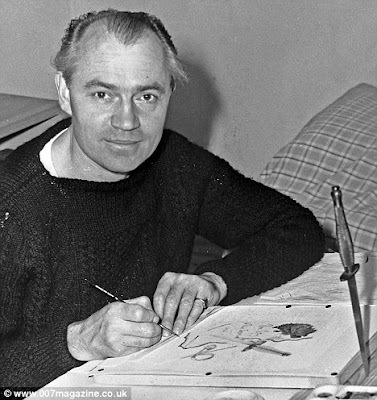 Back in 1957 Richard W. Chopping was offered to produce his first dust jacket for the upcoming book release of Ian Fleming's From Russia With Love. The cover was designed as a collaboration between Fleming and Chopping were Fleming simply told Chopping what he wanted and he drew it. 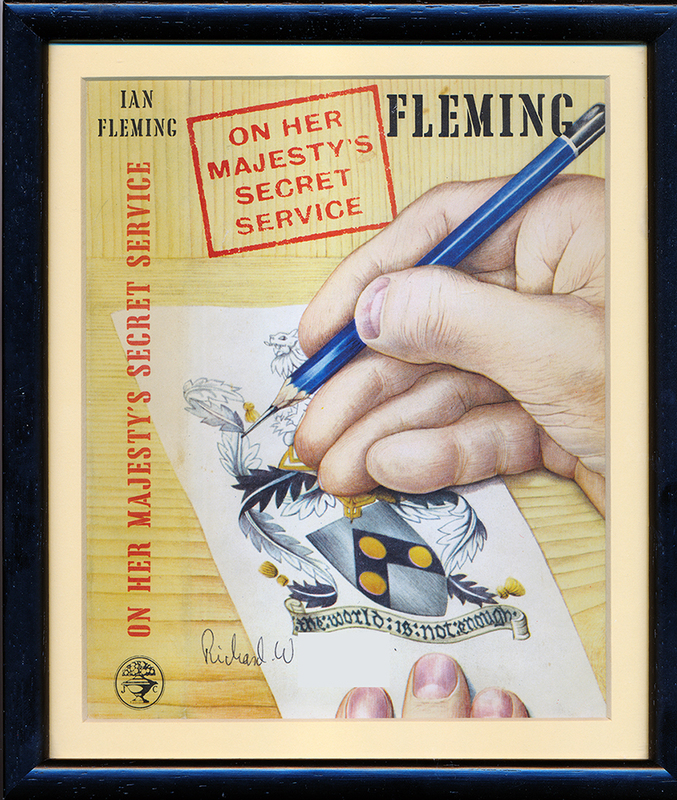 The collaboration between Ian Fleming and Richard W. Chopping would last for nine upcoming book's only missing out on Dr. No. Chopping was even commissioned to do the cover art for John Gardner's first Bond novel Licence Renewed. Sadly Chopping was never satisfied with his collaboration with Ian Fleming. Ian apparently always sent kind notes to his artist but Chopping felt that he was a big part of Flemings success and was not paid enough for all the work he did. If I do remember correctly he got an increase around £50 for every new book cover he did. Now I do not collect autographs especially of the net. And I dare to say that others should not either. 90% of them are fake. But I did stubble upon this signed On Her Majesty's Secret Service dust jacket by Richard W Chopping. It was framed nice and clean. The signature is in a ink ball pen and it was sold from Australia. It cost me £100 and I dont believe this to be fake. The market for this is way to small and the very good framing must have cost £30-40 and then the dust jacket who is excellent must cost £50-100. I am quite happy whit my new addition to the collection. Cant be many fans who have this. 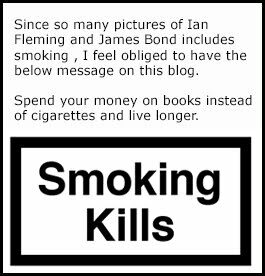 To read more about the collaboration between Ian Fleming and Richard Chopping you can read this obituary. Richard Chopping at his studio working on The Spy who Loved Me. I have removed the "Copping" part of the signature for no counterfeits to appear on the market.